Make payments worldwide easily, securely and quickly. Find out everything you need to know about using the card. With "one", you have full control over your spending at all times. Also available as an app. Collect points automatically each time you pay with the card. Register now to take advantage of this offer! Your Viseca card offers attractive insurance services - for your everyday life and for travel. Find out here how much protection it provides. 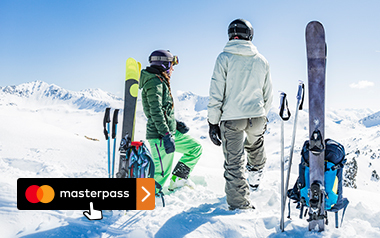 Purchase your winter sports equipment in online shops quickly, securely and conveniently with Viseca Masterpass™. 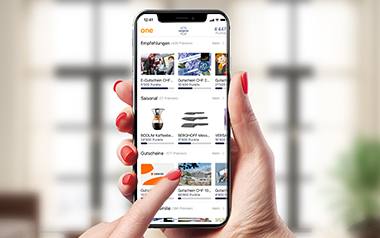 The surprise rewards shop is now available to you in the "one" app, so you can redeem your surprize points for attractive rewards even faster. Try it out now! With Fitbit Pay or Garmin PayTM, paying has never been so easy and secure. 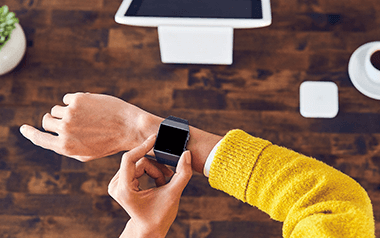 Just hold your smartwatch up to the terminal and confirm the amount – that’s it! All you need is a Viseca credit card and a smartphone. Exchange the points you earn easily and conveniently for attractive vouchers or rewards. 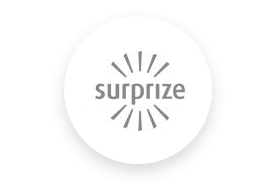 Discover our surprize partners now and shop online!